Two endangered children investigators feared may have been taken out of the country by their parents were found safe. BRANDON, Fla. - Two endangered children investigators feared may have been taken out of the country by their parents were found safe, the Hillsborough County Sheriff's Office said. 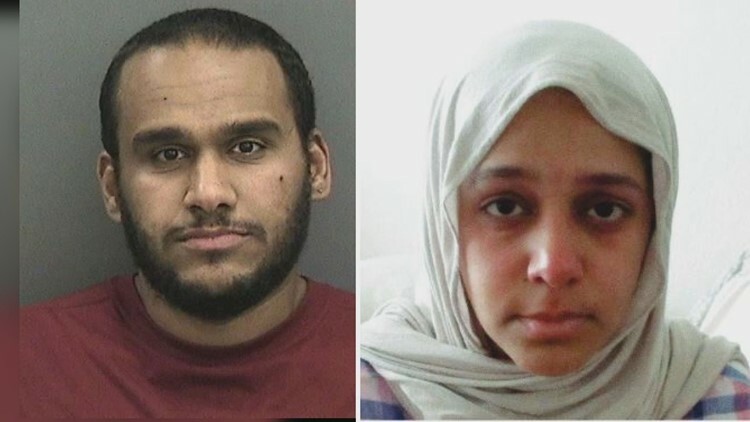 Amerah Salem Alghamdi and her attorney walked the children into the Child Protection Investigation Division offices in Brandon at about 12:30 p.m., the sheriff's office said. "The children appear to be in good health and are being sheltered as per a court order," the sheriff's office said. "Alghamdi was staying in the Gibsonton/Riverview area." Rami Abdulrahman Alsubhi, the children's father, was arrested this week for domestic violence against Alghamdi, his wife. The children&#39;s father, Rami Abdulrahman Alsubhi (left), was arrested this week for domestic violence against his wife, Amerah Salem Alghamdi (right). Alsubhi is accused of severely beating and choking Alghamdi, who ran to a bathroom and dialed 911. When deputies check on Alghamdi the day after Alsubhi’s arrest, they saw marks on her neck through her burka, the sheriff's office said. Alghamdi didn’t cooperate when deputies tried questioning her and noticed her older child acting timid and concerning, the sheriff's office said, Without her cooperation,deputies got an order of protection to take the kids into custody, the sheriff's office said. Following Alsubhi's release, investigators feared the couple may go back to Saudi Arabia with their children, Mayar Alsubhi, 5, and Talia Alsubhi, 6 months. Alsubhi remains free on bond from his original charges.